Looking for an affordable White Rock Condo for sale? Look no further than the new Regency Court White Rock condominiums, located in one of the most prestigious communities in the Greater Vancouver real estate district. With breathtaking views, beautiful beaches, the waterfront promenade and plenty of sunshine, make the Regency Court White Rock condos your next home today. With the most expensive real estate in the Lower Mainland, purchase an affordable White Rock condo today at great pricing. This development is brought to the market by TMC Developments Inc, which is owned by a master European builder. Both he and his wife live just steps away from the actual site of this new White Rock condo development at Regency Court, making accessibility a key selling feature for these homes. Not only that, but TMC Development has built over twelve hundred luxury homes in BC in the past thirty three years, so this reputable and respected developer is now offering the new White Rock Regency Court condos for sale. Located within the heart of the White Rock real estate district along the corner of Marklin and Roper (just off of Johnston Road), you will find thirty five new White Rock condominiums for sale. The Regency Court White Rock condos first phase is now under construction and nearing completion for close to immediate move ins. Best of all, these affordable new condominiums are priced from just two hundred and forty five thousand dollars, making the Regency Court White Rock condos the most affordable suites in the area. From creative and open floor plans to fireplaces with designer wood mantles, every detail has been designed and built for the discerning White Rock homebuyer. The Regency Court condos will also feature such things as European style baseboards throughout the homes in addition to interior panel doors with brushed finish door hardware, air conditioning, crown mouldings in the kitchens and living room as well as horizontal blinds on all windows. Other interior features of the presale White Rock Regency Court condos include designer textured premium nylon carpeting in the bedrooms, and designer chosen hardwood flooring in the main living areas. The bathrooms will have a deep soaker tub, imported ceramic tiling, designer series chrome faucets by Riobel, European style framed mirror, custom designed vanity with drawer and designed selected marble countertops. The gourmet kitchens featured at the new White Rock Regency Court condos for sale will include imported glass tile backsplash, double stainless steel sink with Riobel single lever faucet, GE stainless steel appliance set and designer selected cabinetry with granite counter tops throughout. Security features at the new Regency Court White Rock condos for sale will include pre wiring for security system, in home sprinklers, smoke detectors, camera monitored suite entrance and deadbolt on the main door. There is built in shelving, ample closet storage space, cable and telephone outlets in the living room and all bedrooms as well as secure underground parking here at the presale White Rock condos for sale. From sandy beaches to stunning sunsets and from beautiful sunny skies to a quiet and idyllic yet urban community, the new White Rock condos for sale at Regency Court are absolutely stunning in terms of convenience and location. Step a few blocks and you will get to the fifteen hundred foot long pier, the two and a half kilometre sandy beach and promenade in addition to world class golf, Crescent Beach Marina, White Rock leisure activities, swimming, kayaking, windsurfing, beach combing, jogging, walking paths and biking. The Regency Court White Rock show home is now open for previews. From granite counter tops to stainless steel appliances and from high end finishing throughout the homes to hardwood flooring, homebuyers will not be disappointed by the level of features and finishes presented by this builder. The sales office is located at 15357 Roper Avenue in Suite 105 in White Rock, BC and you can speak with Ben of Royal LePage anytime. The show home is now open from noon to five over weekends. You can also visit their marketing website at regencycourt.net for additional information including home features, location and model home pictures. The Regency Court White Rock condos will also feature amenity spaces including a meeting room and a lounge/amenity room for residents to use in addition to in building storage lockers. As for the exteriors, these new White Rock condominiums will have Hardie Plank siding, gas fired common hot water and double glazed thermally engineered energy saving vinyl windows. The grand opening of the Regency Court White Rock condos is now going on. Sales started on Saturday, September 19th, and presale pricing continues now. A rare collection of view properties that features one and two bedroom floor plans starting from an incredible new White Rock condo price of $225,000 is available at the presale Regency Court condominiums. The site address of the White Rock Regency Court condos is located at 15357 Roper Avenue. This development is marketed by Royal LePage – Ben & Associates. For priority registration, call Ben or Arthur. 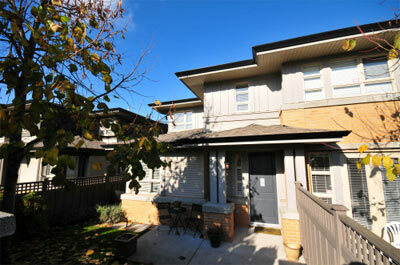 FEATURED LISTING: Richmond Springbrook Estates Townhome for Sale Starting this Weekend! 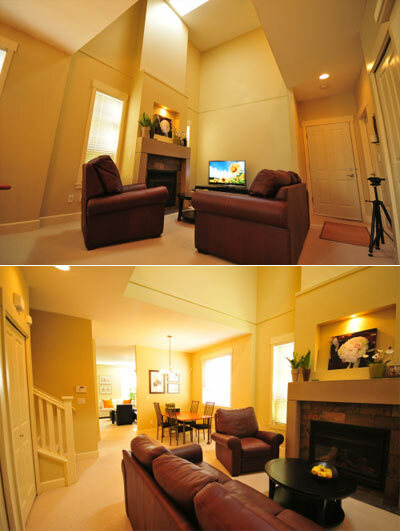 2 Car Garage, Gas Fireplace, Vaulted Ceilings, High End! If you are looking for the perfect Richmond townhome, this new featured listing at the Springbrook Estates at the Hamptons will be ideal for you. Perfect for couples or families, this new Springbrook Estates Richmond townhouse is located in the pristine, safe and convenient McLennan North neighbourhood. The grand opening launch is set for this weekend including open houses on Saturday, November 7th from 12:30 – 2:30pm as well as Sunday, November 8th from 3:00 – 4:30pm. Located at #24 – 6300 Birch Street, Richmond, you won’t want to miss this spectacular new Springbrook Estate home for sale. Priced at $659,000, you won’t find a better deal in McLennan North today! Contact Rob Zwick at Rob@RobbieZwick.com for additional information about this beautiful home today or to setup a viewing appointment. This new family townhome at the Richmond Springbrook Estates features an impressive three bedrooms (all very large) and three bathrooms! Listed at ONLY $659,000 (an NO GST or HST), experience great vaulted ceilings, large windows, open concept floor plan and two level living at its best. 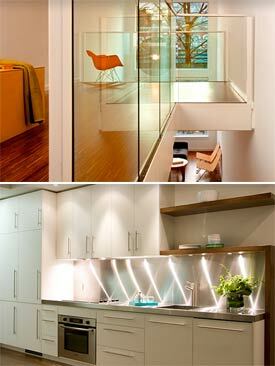 In addition, enjoy the convenience of a side by side double attached garage as well as lots of storage space. From high end finishes to a gourmet kitchen and from sumptuous bathrooms to a custom fireplace with surround, this spectacular Springbrook Estates Richmond townhome will not last long on the market. Located within the McLennan North Richmond real estate neighbourhood, you will be just steps away from all the shopping and dining at Richmond Centre, major public and transit transportation routes as well as McNeil High School and an elementary school too, which is ideal for families. The living room is the focal point of the main level and it features a gas fireplace with huge 18 foot vaulted ceilings in the living room. You won’t want to miss out on this great opportunity to purchase a family friendly Richmond townhome at the Springbrook Estates at the Hamptons at an incredible price! Contact Rob Zwick at Rob@RobbieZwick.com for all the details and upcoming open houses. 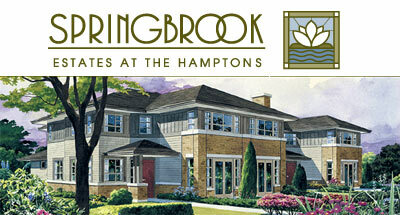 Recently completed and representing great Richmond real estate value, the new Springbrook Estates townhomes at the Hamptons is a master planned townhouse community that offers resale two level, three bedroom family sized luxury homes. Located within an exciting neighbourhood that is quiet, safe and close to services and amenities, these architecturally designed homes by Frank Lloyd Wright blend seamlessly into their natural environment along tree lined streets and meandering walkways. Experience privacy, security and serenity here at the new Richmond Springbrook Estates at the Hamptons Townhomes now reselling. Located in a sunny Richmond real estate community with tonnes of outdoor pursuits and recreational activites, homebuyers here at the Richmond Springbrook Estates townhomes can find riverside trails and beautiful pathways surrounding the community in addition to the historic Steveston village. From sports fields to local parks and from many walking, biking and joggin paths to golf courses, there is something for everyone in this beautiful McLennan North Richmond real estate district where the new Springbrook Estates Townhomes at the Hamptons are located. Truly family and pet friendly, the Springbrook Estates Richmond townhomes provide spacious living that fields like a family home. The homes are located along a green street along Birch St in Richmond, just one block east of Garden City Road and a very short walk to Richmond Centre dining, shopping and services. In addition, you will be close to the SkyTrain, major transportation routes in addition to downtown Vancouver. Located in the McLennan North neighbourhood, the Springbrook Estates Richmond townhomes at the Hamptons is close to all the restaurants, bistros, cafes, coffee shops and eateries that you want nearby in addition to the big box retailers, large malls and boutique shops too. The open concept floor plans provide spacious living spaces for families and couples here at the new Richmond townhomes at the Springbrook Estates development. With designer finishes, fixtures and features, homebuyers here at the Springbrook Estates Townhomes in Richmond real estate market can expect to find custom designed fireplaces with concrete and slate surrounds in addition to nine foot over height ceilings on the main level that reach out to eighteen feet high in the living rooms with vaulted ceilings. Some of the floor plans at the Springbrook Estates Richmond townhomes at the Hamptons provides are Juliet balconies and other entertainment sized outdoor living areas. There are skylights, two car attached garages, large and private patios, and lavishly appointed master ensuite bathrooms and gourmet kitchens in every home. Masterly crafted and architecturally designed by Raymond Letkeman Architects in the spirit of Frank Lloyd Wright, these beautiful new Springbrook Estates at the Hamptons Richmond townhomes for sale have extensive and thoughtful designs both inside and out along tree lined walkways and streets that are welcoming. From meandering pathways to four foot high masonry posts and gates, the sophisticated family Richmond townhomes at Springbrook Estates at the Hamptons provide dramatic eight foot high solid core painted wood entry doors, oversized porcelain tiling, bright recessed pot lighting in the entry foyer, thirty six inch wide gas fireplaces, custom designed wall niches above the fireplaces, contemporary berber carpeting and wood railings and spindles throughout. In addition, these resale Richmond townhouses at the Springbrook Estates McLennan North community have wood baseboards, painted window and door casings, decora light fixtures, two inch horizontal blinds and pre wired security systems. 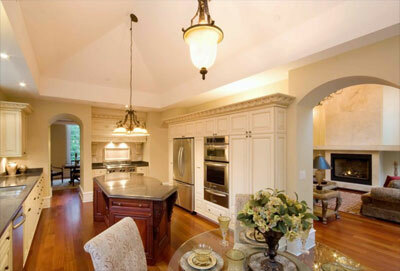 There is still the balance of the home warranty in addition to being a Cressey Development. These two level homes at the Springbrook Estates Richmond townhouses features two car attached garages (side by side) in addition to insuite laundry washer/dryer, rough in for central vacuum system and powder rooms. The gourmet kitchens have double under mount stainless steel sinks, slate backsplash, porcelain tiling, natural shaker style maple cabinetry, puck lighting granite slab counters, Kohler faucet, stainless steel appliance package and recessed pot lighting. The beautiful bathrooms at the new Springbrook Estates Richmond townhomes at the Hamptons community features Kohler fixtures, granite countertops, shaker maple cabinets, expansive vanity mirror, walk in glass shower with tiled surrounds, oversized and recessed deep soaker tub and much more. We highly recommend that you take a look at the Springbrook Estates at the Hamptons for great value, pricing and impressive finishing for you and your family. A design aesthetic that is simple, clean and modern. A love of urban life. And, a keen sense of place, community and context defined through history and inventive architecture. This is what makes a Salient home what it is, and what defines our community. The remaining few homes at Terminus on Water Street and The Paris Block in the Woodward's District have been REPRICED FOR TODAY'S DOWNTOWN VANCOUVER REAL ESTATE MARKET and are READY TO MOVE INTO NOW. Don't miss out on an exceptionally rare and diminishing opportunity to own a home of unrivalled design and value at Paris Block or Terminus by the Salient Group. Act now while you still can to start enjoying the salient things in life today. Take advantage of our inventory close-out pricing for the Salient Group Terminus Condos or Paris Block Gastown condominium homes. Call today for more information. 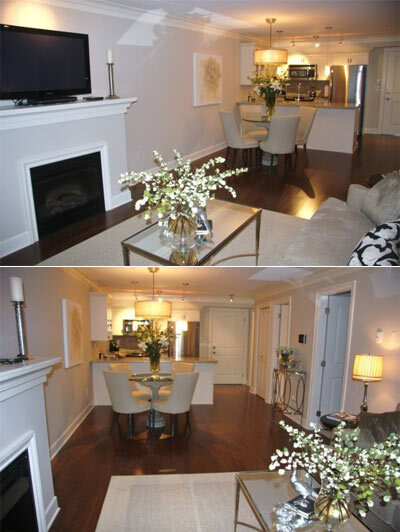 Single level 1 bedroom to 2 bedroom Vancovuer Terminus penthouses between $439,900 to $1.299M. Receive up to $65,000 on closing* Contact the Salient Group at 604.689.LOFT or visit thesalientgroup.com today for more information. *This offering may be changed or withdrawn at any time without prior notice. More information about the Paris Block Vancouver condos for sale is located here. 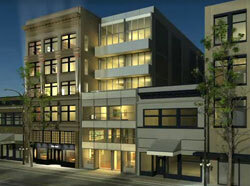 The facts and features of the downtown Terminus Gastown condos are located here. The remaining suites at the new Gastown condos at Vancouver Terminus by the Salient Group are now selling and there are only a handful of units left for homebuyers to look at. Some of the incredible features of the final Terminus Gastown condos for sale is the adaptive integration of the historic and heritage elements into the modern high-end lifestyle of these contemporary residences along Water Street. In addition, there are forty six different floor plans (one for each home), so that every Terminus Home in Gastown Vancouver is truly unique and a once in a lifetime opportunity to purchase a distinct residence. Another feature of the Terminus Gastown condos for sale are the very distinctive linear bathrooms that include Philippe Starck toilet, sink and tub. The homes here at Gastown Terminus condominiums will also present both air conditioning and heating that come from a very energy efficient geothermal system. There is built in custom storage spaces, lighting design that is integral to the entire design of your new home in addition to very sleek and customized fully paneled kitchen cabinets. Located in the historic part of downtown Vancouver real estate market, the remaining Gastown Terminus condos also features highly efficient and functional spaces that have awesome designs and push the limits in high-style urban living in the Gastown real estate market. In addition, residents will have access to the urban lounge rooftop deck featuring views of the water. The first Terminus Gastown condo listing still available is Suite 303 that features 1612 sq ft in living space over two levels with two bedrooms and two bathrooms (end unit) that faces north and has an extra den. The price is $868,800. Suite 304 is a two level (2 bed/2 bath) floorplan at the Terminus Gastown condos for sale and features 1534 sq ft interior living space and a price of $858,800. Suite 309 at Terminus Vancouver condominiums are facing south and are 1477 sf ft with 2 bedrooms and two full baths with a pricing of $878,800. The north facing end Suite 310 is 1607 sf and priced at $888,800, while Suite 312 is a smaller layout at 1255 sf and priced at $699,800. On the fifth floor of the Vancouver Terminus Gastown condo listings is Suite 506 that features 1198 sq ft on one level with 2 large bedrooms and 1.5 baths and is featured at $699,800 (faces south). Suite 605 at the Gastown Terminus listings is also a south facing 2 bed/1.5 bath floor plan that is 1197 sf and is priced at $718,800. 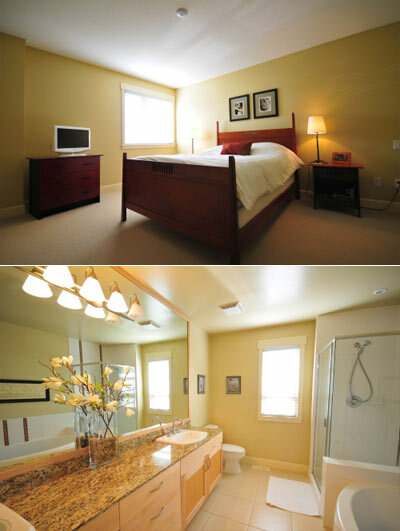 Last but not least is the Gastown Terminus penthouse suite PH2 which is 2 bedrooms and 1389 square feet. The price is $1,299,800 and this excellent functional space also has a large private roof top deck! 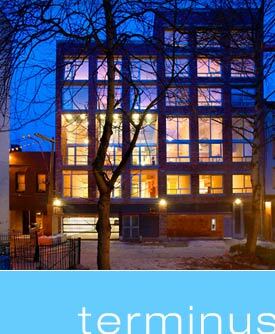 The prices at Terminus Gastown condos are subject to change without notice and are exclusive of net GST. The other Salient Group offering in downtown Vancouver real estate market is the two last penthouse suties featured at the Gastown Paris Block project. From the street level, the Paris Block Vancouver condos features an original 1907 architecture that has been carefully restored with painted brick façade and re appointed with turn of the century cornices, sills and iconic capitals. The restored heritage center pivoting and sash windows are very striking and architecturally brilliant. In addition, the Paris Block Gastown Vancouver condos are just around the block from Woodwards District and is surrounded by the most interesting and eclectic neighbourhoods including Yaletown, Chinatown, Gastown and Downtown. There are only five penthouse suites available at the Paris Block by the Salient Group and the modern technology in each residence includes security alarm pre-wiring, CAT 5 high speed internet access, high security locks throughout the interior of the building and remote keyless access control into the building itself. In addition, the downtown Vancouver Paris Block condos will feature open concept floor plans with overheight (almost 12 foot) ceilings with exposed brick walls, and steel beams. The flooring is polished concrete and there are fully integrated kitchens with stainless backsplash and countertops coupled with white glass upper cabinetry and white lacquer lower cabinetry. Custom panelled millwork is seen throughout these new Salient Group Paris Block Gastown condos for sale and they feature Liebherr fridge, paneled AEG dishwasher and wall oven/cooktop. There are glass and slate tile finishes in the master ensuites in addition to recessed glass light walls in the bathrooms and millwork closets. Other great standard features of these remaining Paris Block Gastown condos for sale include designer roller shades and in suite front loading washer and dryer that are standard in every downtown Vancouver home. Right now, there are only two remaining Paris Block Gastown condo listings available on the market and both are penthouse suites that include large private decks with views. The first Gastown condo listing features a one bedroom and one bath unit at 720 square feet located ohttp://www.blogger.com/posts.g?blogID=1958786389661593485n the sixth floor and is south facing. The pricing for Suite 603 is $439,800 plus GST and includes a 273 sf deck. The last unit available at the Gastown Paris Block Vancouver condos is Suite 605 that is much larger at 1058 square feet in size with a 391 sf rooftop deck. The unit has 1 bedroom and one bathroom and the price does not include GST and is listed at $699,800. Not 10 acres – 50! Not simply a community, but one of the largest multi-phase residential developments in the Lower Mainland. A series of master planned neighbourhoods here at the riverside New Westminster Port Royal community with 1000 new homes for sale, including a wide array of townhomes, rowhomes, condominiums and even single family homes. Also, there are over fourteen acres of riverfront parks and walkways. Where? Queensborough New Westminster real estate market. Port Royal. The ideal New West Port Royal riverfront community is waiting for you now. It’s no dream. But it’s a big opportunity right now. The new Port Royal New Westminster presentation centre is located at Holly Avenue and Salter Street in Queesborough and is open noon to five every day except Fridays. Visit portroyalhomes.ca for more information about this Aragon Properties Ltd development. Right now, Marmalade Sky New Westminster Port Royal rowhomes features only nine remaining units with prices starting from $439,900. The Marmalade Sky Port Royal real estate community will feature New West rowhomes between the sizes of 1538 and 1734 square feet in size. Red Boat at Port Royal single family homes has launched Phase Two sales starting from $536,900. The New Westminster Regatta Waterfront Residences at Port Royal real estate development features superior craftsmanship, hand picked reclaimed brick and refurbished hardwood flooring with prices starting from $357,900 and floor plan sizes from 1047 square feet. Just over four hundred of the 1040 planned homes at Port Royal New West have already been completed by Aragon Properties. Owners of the fee simple titles on the attached homes pay no strata fees as well. There is nothing like this in the New Westminster real estate market place right now. Port Royal is a master planned multi phase New Westminster real estate development that consists of all housing types, price points and floor plans. Spanning over fifty acres, this is one of the largest property developments in the Lower Mainland ever, and is designed to be a family friendly, distinct old fashioned neighbourhood for all. With more then fourteen acres of prime waterfront, riverfront park spaces, urban condos, townhomes and single family homes, the Port Royal New Westminster real estate community has been a huge hit amongst new homebuyers. Below is a list of the current developments in sales phases. Phase 2 of the riverfront Marmalade Sky Port Royal New Westminster rowhomes and townhomes have been released. This is a new way to live in a respected tradition within the largest master planned community in New West real estate market. When where you live is at least as important as the home you live in according to Aragon Developers, so come to Marmalade Sky at Port Royal townhomes for sale to see more about the latest release of riverfront homes. Here is a new style of riverside homes and uniquely unfettered ownership for the discerning homebuyer. Pioneered by Aragon, rowhomes discreetly allow more freedom and ask no strata fees – all under the lovely guise of a traditional British style façade here at the riverfront Port Royal townhomes at Marmalade Sky New Westminster. Look under a Marmalade Sky to find out more. Phase 2 of the Red Boat New Westminster homes at Port Royal community are now selling at pre-construction pricing. These unique freehold single family homes, duplexes and townhomes provide spacious living and are geared towards couples and families who want a safe, exciting and new community to live in. With a welcoming front porch and yards, these Red Boat Port Royal homes for sale are the ultimate new residence for New West homebuyers seeking spacious floor plans, traditional style neighbourhoods and a great place to bring up their children. Everything is here. The Port Royal Red Boat New Westminster homes, townhomes and duplexes are designed for the good life, and meticulous attention to detail by Aragon Developers is seen throughout the craftsmanship and finishes. In addition, most of the floor plans at the Port Royal Red Boat New Westminster homes for sale have two car garages as well! Phase 2 homes have Ramnsay Worden Architects exteriors, a striking streetscape with unique riverfront setting, Energy Star double glazed vinyl windows and private landscaped back and front yards. The interiors of the New Westminster Red Boat at Port Royal homes for sale include three colour schemes to choose from, nine foot ceilings in most living spaces, nylon loop pile carpets, slate tiling, luxurious master suites with walk in closets, ensuite bathrooms, double sinks, vaulted ceilings, in suite laundry, solid fir entry door, fireplace with custom surround and mantel, skylights, pre-wiring for everything, crawl space for extra storage space and the National Home Warranty. In addition, Aragon Port Royal Red Boat New Westminster homes for sale will feature bathrooms with granite countertops, shaker style wood cabinetry, kohler soaker tub and toilet, recessed pot lighting, slate flooring and Kohler porcelain sink and faucet. The kitchens at the New West homes for sale at Red Boat at Port Royal community features well designed open floor plans with eating nooks, granite counters, over height cabinetry, Kohler finishes, stainless steel appliances, porcelain backsplash tiles and track lighting. Additional upgrades that presale New Westminster Red Boat Port Royal homebuyers may want to go for include a roughed in central vac system, shaker style bypass sliding closet fir doors, one panel chaker style interior fir doors and reclaimed distressed fir hardwood flooring on the main floor. Still with a few prime apartment suites available for purchase, the Port Royal Regatta New Westminster condos for sale is set along a shoreline about 1.7 kilometres in length with riverside trails that link to even more urban green parks at the Port Royal parkland, biking paths, boat decks, childrens’ play areas and picnic spots. The prime riverfront Regatta at Port Royal condos for sale are part of the south eastern most shores of Lulu Island that make up New Westminster real estate market. Set out for a life that flows and grows and carries you forward here at this master planned community. Where every day is a voyage of discover, inspiration, expression and living contentment. The newest collection of New Westminster Regatta waterfront residences have just been released by Aragon Developers in this master planned Port Royal community. Designed by Bernard Decosse Architects, these spectacular New West riverside residences at Regatta at Port Royal feature outdoor kids playing areas, Hardiplank horizontal siding, energy efficient double glazed rain screen windows, outdoor covered balconies and views of the Fraser River. The most high end features and finishes and appliances have been integrated into the gourmet kitchens and premier bathrooms here. In addition, all of the homes here at the Port Royal Regatta condominiums in New Westminster real estate market features 3 colour design schemes to chose from, ten foot ceilings inside, reclaimed brick feature walls, reclaimed solid fir plank flooring, blinds, baseboards, stipple ceilings, French doors with glass panels in select suites, thick carpeting in the bedrooms, in suite laundry and electric fireplaces. There are only a few select suites remaining at the Regatta at Port Royal New West condos for sale so act now! As we write this, the Paddler’s Landing Condominiums at Port Royal real estate development are completely SOLD OUT. This unique low-rise apartment building of only four storeys featured only 44 New West condominiums for sale that pre-sold very quickly. In addition, there was a small collection of six attached Paddler’s Landing Port Royal townhomes for sale that are also sold out. The unique combination of the features you wanted and dedication to the ease and simplicity of home management were great selling features of these Paddler’s Landing at Port Royal condominium homes, but best of all, the New West condos were south facing with prime river views. Spacious floor plans start from six hundred and eighty seven square feet one bedroom condos. In addition, the two bedroom New Westminster condominiums at Paddler’s Landing Port Royal started from 1408 square feet, many of which have den spaces. The two and three bedroom Paddler’s Landing townhomes for sale are very spacious with the largest homes at around 1600 square feet in size. In addition, all of the New Westminster condominiums for sale at Paddler’s Landing features unique ten foot ceilings, something that homebuyers never see in new homes anymore. The beauty continues with fireplaces and dramatic reclaimed brick feature walls that are again, very unique to Aragon Developers. And the details are equally important here at the Paddler’s Landing at Port Royal condominiums for sale, with carefully planned ensuites and top of the line finishing throughout. Again, these Port Royal condos are sold out. With only 31 concrete Kits condos for sale at KORE Vancouver living, now is the time to buy a brand new condominium located in a perfect setting. Beat the HST and find out more about the latest availablities that start from just $335k for a one bedroom plus den suite. Live in the heart of the Kitsilano Vancouver real esate community, well known for its boutique stores, trendy restaurants, waterfront seawall, parks and much more! From coast to coast, everyone knows about the Kits lifestyle along the northern banks of Vancouver’s most beautiful beaches and community. Starting April 24th, the final release of new Kits condos at KORE Vancouver apartments will be released before the HST hits. You can also move into this low-rise concrete Vancouver condo building as soon as you wan tto and will feature suites with incredible views, high-end finishes and a great location along Burrard and West 3rd Avenue. With contemporary interiors, these West Coast style KORE Kits condos for sale in the Vancouver real estate market place present great value to homebuyers. From engineered hardwood to Caesarstone countertops and rich granites, the Vancouver KORE condos for sale will also have luxurious duotone cabinets and extra storage space. From restaurants to the Fifth Avenue Cinemas and from boutique shops to Granville Island Market, the KORE Vancouver Kits condos for sale are centrally located for every lifestyle. Walk to the beach or go to the banks and services nearby. The choice is really yours. Investing in your future is important. Here are the new KORE Vancouver Kits condos final release of apartment homes, you can find pre-HST pricing with every one bedroom under $500k and over half of the two bedroom suites under $700k. The penthouses at KORE Kitsilano condos start from an incredible price point of only $524k! Starting from the low $400s, the presentation centre is now open for previewing and sales. 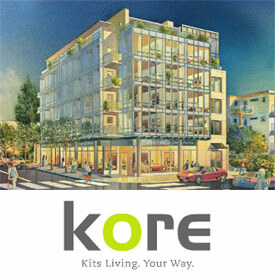 Don’t miss out on this final opportunity to own a brand new Kits condo at Vancouver KORE living. The Kits KORE Vancouver Condos for Sale! We are finally ready to release the homes at KORE in Kits Vancouver real estate district. As you are an early registrant, we are pleased to announce this pre-advertised launch to allow you the opportunity to come in before the general public. We will be booking appointments from Monday, November 23rd onwards to present KORE Kits condos for sale to you at our Macdonald Realty office in Kerrisdale Vancouver. We will not have a ‘Presentation Centre' but we will have a ‘model' of KORE Vancouver Kits condos for sale, with marketing brochures and the sample colour boards. The Kits KORE condos website is now live, so please visit: www.koreliving.com and log into our computer generated ‘virtual tour' (we do not have a display suite), then peruse through the Kitsilano Vancouver KORE condo floorplans (under ‘Your Style') to see which presale Vancouver home best suites your needs. KORE Kits condos in Vancouver real estate community is a 6 storey concrete development with 31 residential homes, located north of W4th (corner of W3rd & Burrard). There are 31 new Vancouver condos for sale at the Kitsilano KORE residential building, with pricing starting from $334,900 for a 1 bedroom. Seventeen Vancouver KORE Kits condos for sale are priced under $500K, and of those, ten new Kitsilano homes are priced below $400K. KORE Vancouver condos is expecting to be completed by the end of March to early April 2010. So, hurry, as this is the only new 6 storey concrete Vancouver real estate development being constructed in Kits. Call or email us to book your time before it's too late – opportunity knocks rarely. Warm regards, Kore Sales Team at Macdonald Realty Ltd., 2105 W38th Avenue, Vancouver BC, V6M 1R8. As their online marketing goes, the new Kitsilano condos for sale at the KORE Vancouver development is totally Kits Living. You can walk to the beach, Fourth Avenue shops and dining options and downtown and Granville Island is a stone throw away. Or you may opt to bike to Kits Beach and enjoy your freedom your way. Make the most of every day here at the Vancouver KORE condo living as this is true urban Kits living available right now. The new KORE Kits condominiums are situated at the exciting corner of 3rd Avenue and Burrard Street in central Vancouver, but it’s much more than just another Kitsilano address that you can call home. Walking to everything you want to see and do is a sinch. From Granville Island to downtown Vancouver, and from top rated restaurants to gourmet grocers, everything is very close by. KORE Kits condo living is a distinctive landmark Vancouver condominium building that present stunning and unique architecture that reflects the upscale and hip location in which is resides. The expansive Kits floor plans are designed with large floor to ceiling windows, security that is state of the art and a variety of different layouts to choose from. Homebuyers at the new Vancouver condos at Kits KORE living can choose between twelve 2 bedroom condominiums and 19 one bedroom suites in this concrete condominium building of only 6 storeys. Boutique, exclusive and uber cool, these new Kits condos for sale at KORE Vancouver also provide amazing views of the surrounding community, mountains and water. The actual site address is at 1808 West 3rd Avenue, Vancouver, BC. For more information about the presale Vancouver condos at KORE Kits real estate development, please click here. The Features of the New Kitsilano Condos Now Selling – Move In Spring 2010! High-end, luxurious and detailed finishes are both modern yet elegant. This magnificent Kits real estate location is not only contemporary, but also affordable. There are two colour schmes for Kitsilano condominium buyers to choose from that include Walnut and Fir and there are panoramic floor to ceiling windows by Starline and engineered hardwood floors throughout. The bedrooms have 100% wool loop carpeting and there are horizontal blinds and chrome door hardware in these spectacular new Vancouver Kitsilano KORE condominiums. The Kits homes for sale at KORE Living come with the Travelers Home Warranty of two, five and ten years and there is a fully secured underground parkade, pre-wiring for security system and key fob entry and floor restricted access in the building. In addition, the new Vancouver KORE Kitsilano homes for sale have spectacular bathrooms that include a Zen Collection rectacular over mount basin, porcelain one piece toilet, recessed pot lighting, deep soaking tub (Simplicity Series), rain shower head by Taju, gloss white ceramic tiled bathroom and shower surrounds, porcelain floor giles, Bianco Carrara marble and solid wood edge detailed custom vanities. Condo buyers at the new KORE Vancouver Kits homes for sale will also get inspiring kitchens complete with high end stainless steel appliance set by Jennair Euro Style series, LG fridge, Frigidaire dishwasher and the room with also present custom cabinets, undermount sink, halogen task lighting, and high gloss porcelain tiled back splash. The Kits KORE Vancouver penthouse suites will have additional features such as privacy screen roof top patios between 102 to 197 sf in addition to Liebherr fridge and Fisher/Paykel dishwasher drawers (x2). In addition, the KORE Kits penthouse suites will also have a free standing frameless glass enclosed shower and European porcelain tile surround on vanity wall in the ensuite bathrooms. The Vancouver real estate development team at KORE Kits condo development consists of Toyo Developments (developer), WT Leung Architects (Architect) and Lot 30 Design Inc (interior designer). You can now view a virtual tour of the KORE Kits Vancouver condominium project online. For additional Vancouver West condo projects in Kitsilano and Point Grey, click here. The New East Vancouver View on Hastings Condos - Awesome Panoramic Views of Water,City & Mountains - Great Vancouver Condo Pricing Too! Brought to the East Vancouver real estate market by Thind Developers, the View Condos on Hastings Street features a fine collection of only nine exclusive residences. These one and two bedroom Vancouver city homes available at The View by Thind are located in the heart of the eclectic East Vancouver real estate neighbourhood and start from an incredible $245,900 only. From here, everything else looks much better. Downtown Vancouver style homes in the heart of the city are now available at The Thind View Condos that are open by private appointment or weekends from 1-4pm. The Vancouver city homes at The View is a collection of only 57 finely crafted condominium style residences in one and two bedroom floor plan layouts now available to prospective and serious homebuyers looking for the best quality at a fraction of the price. Some have spectacular roof top decks and others have additional dens and storage space. The View on Hastings Vancouver city homes is located in one of the most up and coming neighbourhood in the east side and provide outstanding features and amenities at an affordable price. Views come at no extra charge, of course, and most of them extend beyond the North Shore Mountains and downtown Vancouver. Penthouse suites at the East Vancouver View apartment condos also feature roof top decks that are spacious and private. Fancy a dinner out? Within four blocks of the new Vancouver View Condos on Hastings Street are fine Greek, Chinese, Vietnamese and Italian, Japanese and Western restaurants and eateries. Our you can opt for the many boutiques and eclectic stores in and aournd the East Vancouverreal estate district. The View Vancouver city homes is located at 2150 Hastings Street in the east side. Check out the East Van View condo presentation centre today that is found just one block away at 2255 Hastings. For more information, please contact Fred or John at thind.ca. From stainless steel appliances to solid maple shaker cabinetry and from laminate V-Groove hardwood floors to a great upgrade package, the East Side Vancouver View on Hastings condos for sale by Thind are affordable but very nicely finished. In addition, these urban chic and contemporary homes have great style, all the technology upgrades and pre-wiring that you would expect and the most impressive of views. Unique and spacious floor plans are presented on every floor in addition to roof top decks on some of the penthouse suites. These are private entertainment spaces that provide you with mountain, water and city views all year round! The East Vancouver real estate district has also come along way. Here at the Vancouver View condos on Hastings, you can find all sorts of eclectic shopping outlets, designer fashions and eateries, cafes and even fine restaurants. With so many choices, the hard part will be deciding on what to try next. Some of the top rated schools are also nearby the new View Vancouver condos for sale that include Elementary and Secondary schools for your kids. And from big box retailers to boutique family owned stores and from community centres to the PNE and Playland, the world is upon your fingertips. For more information about the East Vancouver View Hastings Condos, please click here and scroll down the page for details. High-end and custom homes are now being built at the spectacular new neighbourhood of Crystal Creek Anmore by Sonoma Homes developers. The opulent yet elegant houses at Crystal Creek Anmore real estate development offer huge floor plans that are as large as forty nine hundred and fifty square feet. Most of these floor plans contain four bedrooms and 4.5 bathrooms and the affordable price point starts from just $1.288M for these highly customized and craftsman homes for sale. The new Anmore Crystal Creek Sonoma Homes also feature a great location in this quiet neighbourhood that is zoned for residential only. In addition, the new Anmore lots for sale at Crystal Creek by Sonoma Homes are very big, and range up to twelve thousand square feet. For more then fifteen years, Sonoma Homes has built and customized spectacular residences throughout the Lower Mainland, and now, these single family detached homes at Crystal Creek Anmore real estate market place are being marketed on one third acre lots. High end finishes at the new Anmore Crystal Creek homes for sale include such fininshings as large outdoor entertainment areas, manmade ponds, coffered ceilings, sky lights, wrought iron detailing and also crown mouldings. From the twenty foot high ceilings in the entry hall to the oversized windows and from the marble fireplace to the spacious great room perfect for entertaining friends and family, the pre-sale Anmore homes at Crystal Creek Sonoma Homes are absolutely spectacular. Located within a quiet and impeccably landscaped community amongst old growth trees, these new Anmore homes for sale are one of a kind and truly exceptional for any homebuyer looking for a large family estate lot and home. The two sided fireplaces in the master bedroom and ensuite are great touches designed by the developer as are the exquisite cabinetry and wood work in the kitchens and dining rooms. The extra space in these large floor plans also allows Anmore home buyers to convert one or two rooms into personal fitness centres, a movie screening room, games room or a kids room, depending on what you want to do with the space. In addition, the Sonoma Homes Crystal Creek Anmore real estate development features such things as soaring ceilings, relaxing ensuite bathrooms, cherry hardwood flooring, coffered ceilings in some rooms and much more. The tranquil setting of the Crystal Creek community is just minutes away from Port Moody and if you need to get downtown, it’s only forty minutes away. Other green spaces nearby the new Anmore homes for sale at Crystal Creek Sonoma Homes include White Pine Beach and Buntzen Lake in addition to many hiking, biking and walking trails too. If you are interested in learning more about the new Anmore Crystal Creek homes, please do not hesitate to contact a sales representative at the show home by calling 604.461.1308. 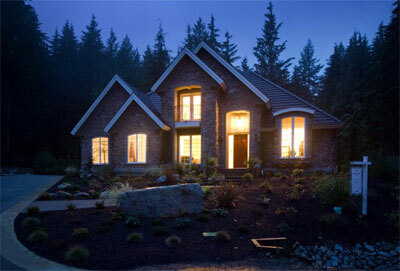 The showhomes are located on site at 312 Forestview Lane, Anmore, BC.